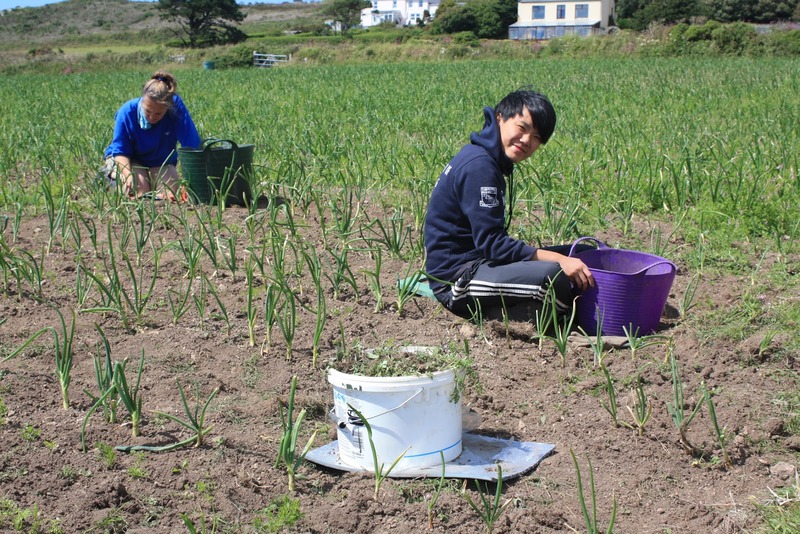 Lots of thanks to Agnes, From Hong Kong, who left for London this morning after 10 days wwoofing on the farm. 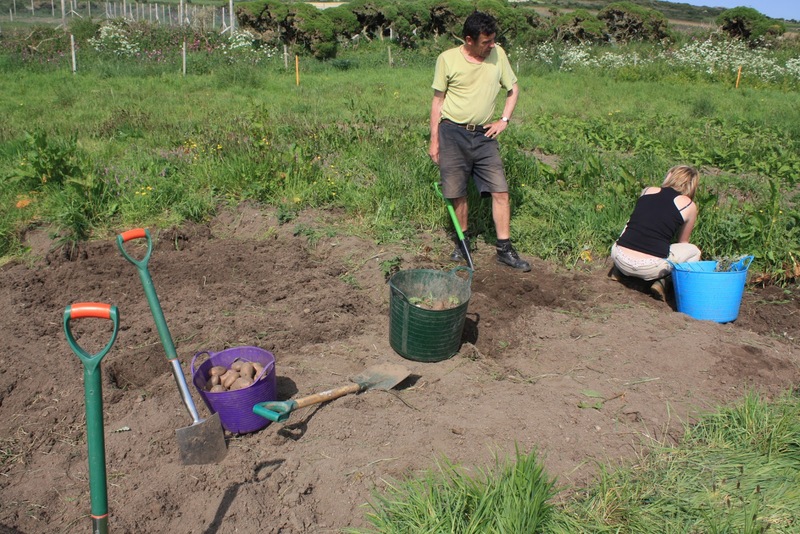 We love people who love weeding, especially at this time of year! Agnes in the foreground, weeding carrots and onions in the maincrop field. 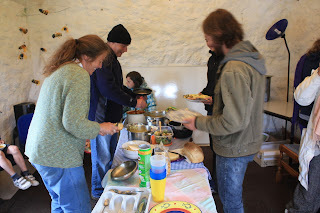 On Thursday 21st June we held a midsummer picnic for regular volunteers and other people involved with the farm. The wet June weather didn't play ball however, so we picnicked in The Hive, sneaking out between showers for the obligatory game of rounders. Fran brought along her old wind-up gramophone for some scratchy vinyl reminiscences, and even some tango around the farmyard. Tim Farron visits Bosavern Community Farm. 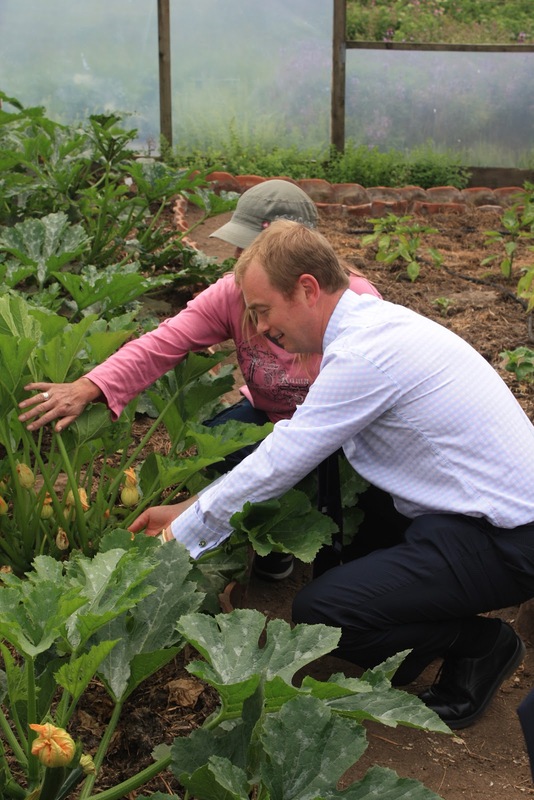 We were pleased to welcome the president of the Liberal Democrat Party, Tim Farron, for a tour of the farm on 12th June. Tim and Deb inspecting courgette plants in the polytunnel. 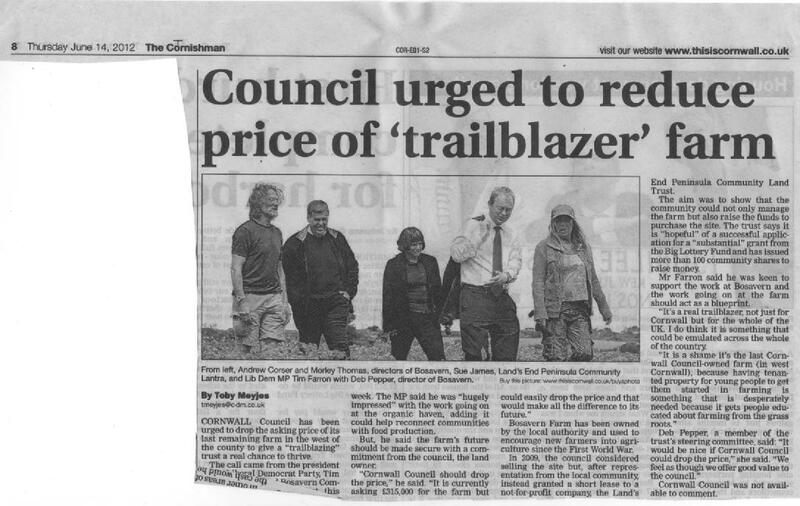 The Cornishman reports on Tim's visit. 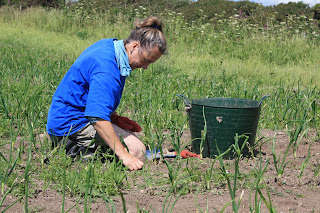 Jo weeding onions and carrots in the maincrop field. Many thanks to Jo, from New Zealand, who resumed her travels yesterday morning after ten days helping on the farm. 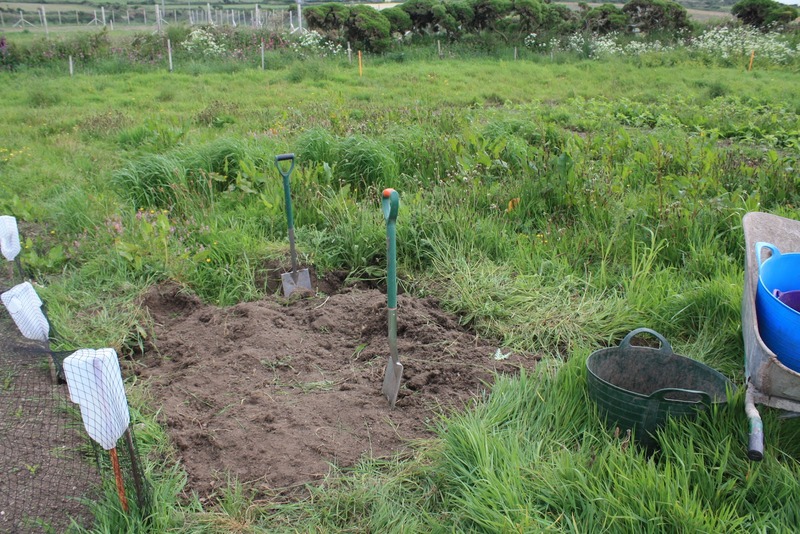 Special thanks for weeding in the onion and carrot beds in the big field, and also for all that washing up! Great to meet you, and enjoy the rest of your European adventure. 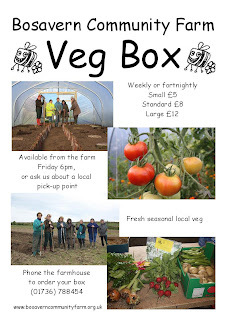 New veg box poster - looking for new customers. A fairly quiet few months on the housing front and then excitement! We have been given planning permission to build at Lafrowda Close, St Just and Moorland Close, Pendeen. To remind people this will be for two 2 bedroom houses and one 2 bedroom bungalow at St Just and two terraces of three 2 bedroom houses and two 2 bedroom bungalows at Pendeen. All except the bungalows at Pendeen will be affordable and all will be for sale. 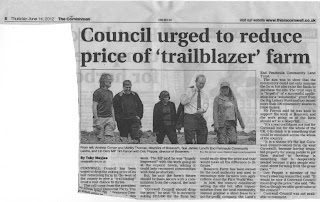 So spread the word that we are on our way to provide affordable homes for local people and if you or some-one you know is ‘in-need’ then get registered with Cornwall Council and the Land Trust. The reason for the open market bungalows is to subsidise the affordable homes. We had some opposition at Pendeen but have made great efforts to meet and talk with people and when we achieved this we found we were able to reduce their worries. If anyone knows of some-one who is still concerned then do put them in touch as just because we have been granted planning permission we are still happy to talk. Thank you to everyone who has played their part in us getting to this stage. Note this years AGM will be at the Town Council offices in St Just on Wednesday 27 June at 7 p.m. All welcome and members can be nominated to join the Board as Trustees. 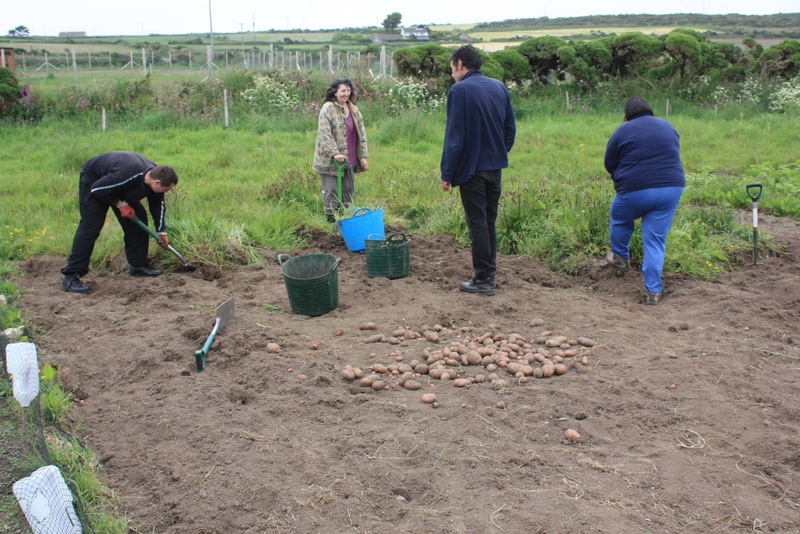 This is your chance to make a social investment in a local community enterprise growing food in St Just. You can invest as little as £20 or as much as £20,000. Community Shares are a relatively new approach to raising financial support for not-for-profit, social enterprises like Bosavern Community Farm. This investment from the public is intended to put the community farm on the road to a financially sustainable future. Investors will become members of Bosavern Community Enterprises and be able to vote on Board members to run the project. It is hoped that some investors will want to get actively involved in the project, in some way but this is not a requirement. Currently, BCF is a pilot project of a local charity, Lands End Peninsula Community Land Trust (LEPCLT), at a Council owned farm just outside St Just. LEPCLT is committed to continuing the farm's long heritage as a training ground in agriculture. Cornwall Council now intend to sell this one remaining County-owned farm in Penwith and in order to prevent it from being sold on the open market (and lost as a community agricultural asset) LEPCLT aims to buy the farm from the Council and keep it in perpetuity on behalf of local people. We are progressing well with our Lottery application but it will not provide 100% of the capital costs so we will still need other social investors, even if successful. News from the Lottery should be available very soon and the more shares we have sold, the more likely we are to complete the deal with Cornwall Council. If, like us, you recognise and value the wider benefits of community investment in healthy living, increased social wealth, a more active local economy, useful and interesting training opportunities, and the many positive environmental bonuses, then these community shares may be for you! Why not pop down to the farm to get involved before you decide whether to invest? Drop in to any of the volunteer sessions to learn the skills of growing sustainably: prepare new ground, sew and plant crops and harvest the end result for veg boxes and Farmer’s Markets. Help is also needed with our chickens and pigs, collecting eggs, mucking out and soon there will be piglets to fuss over! And for those of you that can’t wield a fork we also need indoor volunteers for some of the admin tasks and organizing fundraising activities. Or perhaps you have an idea of your own or skill you would like to share. Regular drop in volunteer sessions are Tuesday and Saturday 1 until 5 p.m. and Thursday 10 a.m. until 3 p.m. but if you prefer another time or have a group with special requirements please ring Hugh on the office number under contacts. We can also accommodate volunteers who want a residential experience, for a week or two, so let family and friends know of this opportunity. Special thanks go to Morgane, from Normandy, who left yesterday after one month helping on the farm. Morgane came on a student placement from her agricultural college in France, and despite language difficulties got stuck in to the work and got on well with everybody here. Her English improved dramatically over the month. Good luck with the rest of your studies. 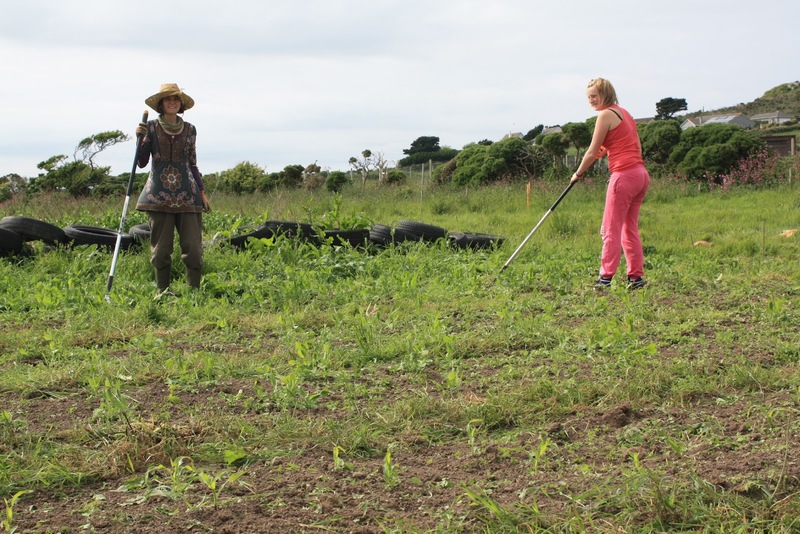 Alice (left) and Morgane (right) hoeing the pea-patch. 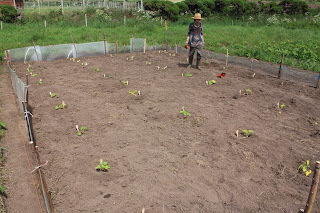 Our main task in the veggie field last week (aside from coping with an explosion of weeds) was making this year's pumpkin patch. 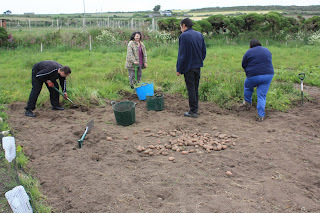 We still had four beds of potatoes left in the ground from last year, some of which were still good enough for roasting or mashing (delicious! ), and the rest went to our pigs. Tuesday morning, just getting started. 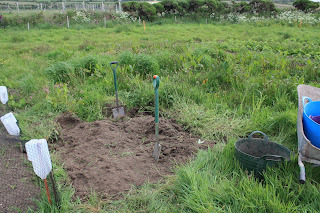 We started on Tuesday morning, finished the digging on Thursday afternoon, erected the cloche and planted the pumpkins and squashes on the following Monday (just in time for today's strong gales!). Tuesday afternoon, Jim and Morgane motoring on. Last year's pumpkins and squashes were planted out mid-May, without protection, and were hammered by strong cold easterly winds coupled with slugs, which only a few hardy "jack be little" squashes survived, ready for harvesting in October/November. This year we're hoping to do better. 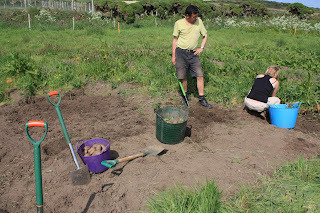 Thursday afternoon - finishing the digging with Adam, Willow, Jim and Anne. 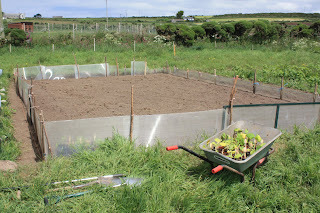 So we erected a cloche of 63 square metres, being a wall of greenhouse glass and old windows staked into place around the four squash beds. 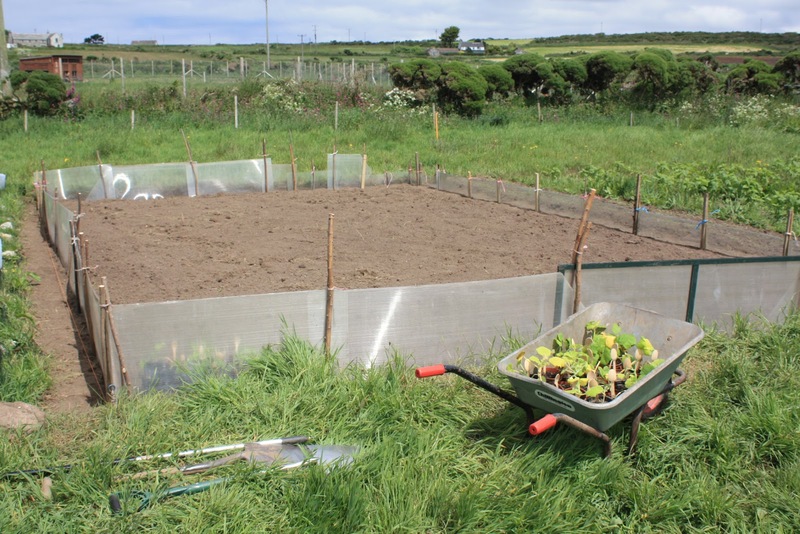 We're hoping this will reduce wind-blast, slugs, rabbits, and couch-root encroachment. And we planted them out early June, two weeks later than last year. Time will tell. Monday afternoon - cloche erected and plants ready to go in. 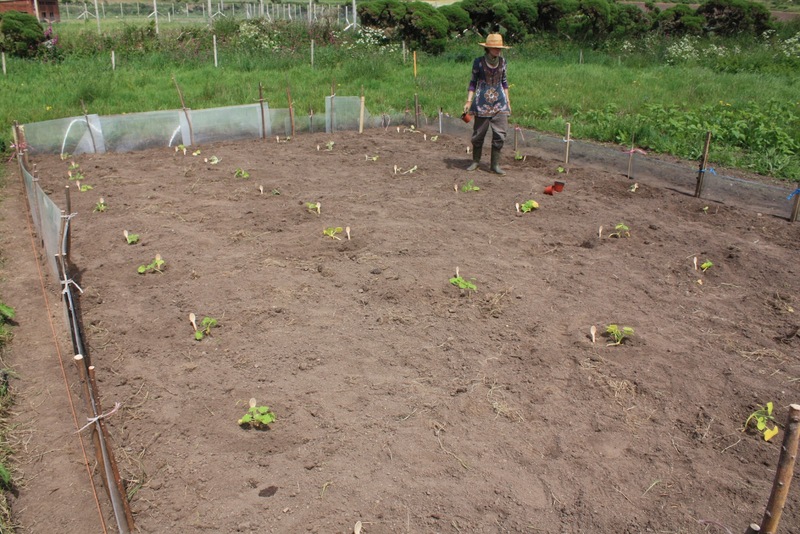 This year we have planted "blue ballet", "uchiki kuri", "jack be little", "jack o' lantern", and "turk's turban" squashes. Fingers crossed for a good harvest. Job well done - Alice putting the last plant in the ground. Many thanks to Alison for wwoofing on the farm for two weeks in May, your help was much appreciated!